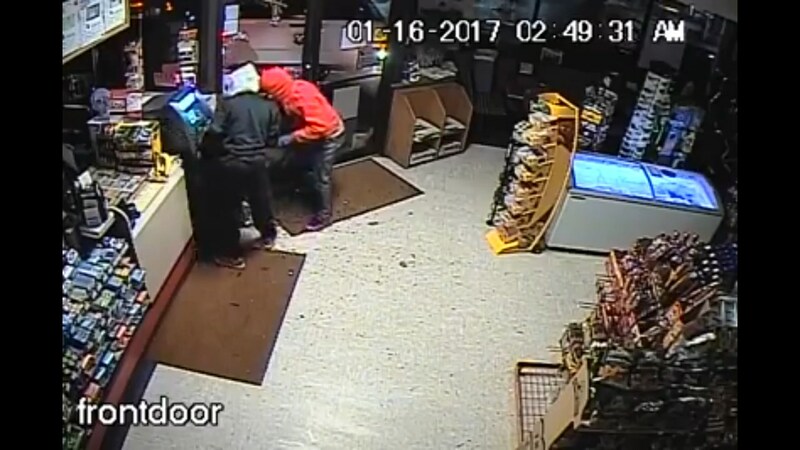 Forney Forney, TX – On the surveillance video, two male suspects are seen breaking into the store and wrapping a chain around an ATM machine located near the front entrance. A third suspect in a white Dodge pickup truck used the truck to pull the chain and ATM machine from the store. “One male subject was wearing black pants, a black jacket with a grey hoodie with white stripes down the sleeves and red shoes,” stated the Forney Police Department. “The second male suspect is described as wearing red hoodie, grey pants with white stripes down the sides and red shoes. This video is strictly for news/educational purposes.